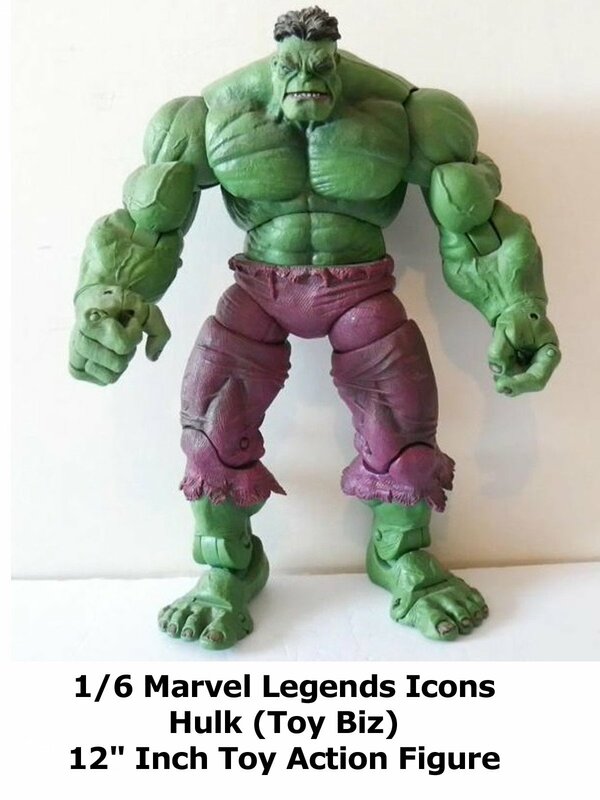 This is Marvel Legends 1/6 Hulk review. Made by Toy Biz. This Hulk is a 12" inch scale action figure. It is a huge, well sculpted and articulated figure. It can only be found in the secondary market now. And is a fine addition to any collection.